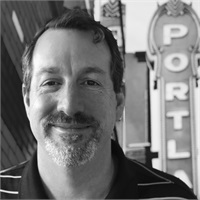 Kurt brings over 15 years of sales and sales management expertise to Compensation Systems Northwest, Inc. He joined the CSNW team in 2009 and is continually committed to staying on top of the ever-changing world of employee benefits. Kurt’s strengths in communication and his ability to see the big picture make him a true asset to his clients as his attention to detail help him create employee benefit programs that offer creative plan design and reflect current market trends. Kurt’s focus is on education; as such he is very accessible, making the service his clients receive his top priority. Kurt is 1991 University of Oregon graduate and a huge Duck supporter. He likes to travel, cook, watch the Ducks and spoil Porter his beagle.